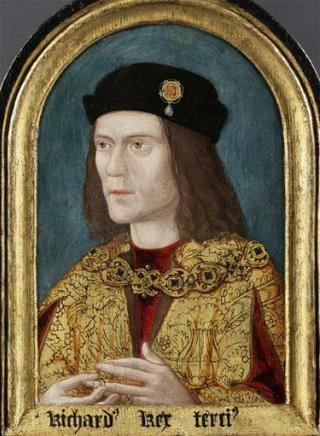 (Newser) – Richard III's final resting place just keeps giving up secrets, from possible infidelity to his bad case of roundworms, and now the unexplained presence of a woman's remains. The woman's posh coffin was found a year after the 2012 discovery of the king's remains, the Leicester Mercury reports. She was elderly and appears to have been of high status, notes LiveScience; her bones show that she ate well through her life, and she was found in a lead coffin emblazoned with a crucifix. She appears to have been buried shortly after a church was completed on the site in Leicester, England, in 1250. She was laid at "an important part of the church," says the dig's head, Matthew Morris. "It's fairly central; it's probably quite close to the high altar." damn found my ogf again! What kind of psycho do you have to be that they wrapped your coffin in lead?